MH370 Two Years Later: Has the Industry Changed? It’s anniversary time, but March 8 won’t be a happy day to reminisce. Two years ago, Malaysian Airlines Flight 370 (MH370), a Boeing 777, disappeared from the night skies over the South China Sea on what should have been a routine flight to Beijing from Kuala Lumpur. All 239 people aboard disappeared along with the airplane. Only one confirmed piece of MH370 wreckage has been located, a section of the 777′ s flap that washed ashore near Reunion Island last year, some 4000 miles west of where an intensive search operation has been combing the ocean floor for nearly two years. The theories about what happened to this airplane are as varied as the beer and wine probably consumed before most of those theories went public. Me, I have no idea what happened to the flight. What’s crucial for our industry however, is understanding what steps the airlines and regulators around the world have taken over the past two years, solutions to make international travelers sleep a bit easier after their next ticket purchase. To the surprise of a couple of local Chicago WGN-TV anchors I spoke to last week, the simple answer to what’s changed since March 2014 is not much at all. 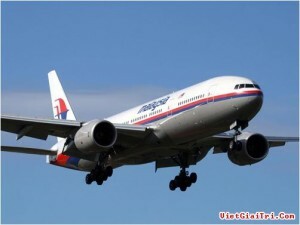 Another airliner could go missing just like MH370 because although a few plans have been released, tracking the location of an airplane anywhere on the planet is no different today than when we lost MH370. That doesn’t mean no one is trying to solve the problem of course. 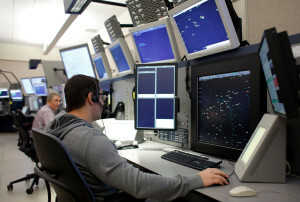 A year after the Malaysian 777 disappeared, most member states of the United Nation’s aviation arm, the International Civil Aviation Organization’s (ICAO), agreed that air traffic control anywhere on the globe should be able to receive location updates from an airliner at least every 15 minutes and once a minute if the aircraft were in distress. They’ve also recommended new methods of recovering flight data recorders from downed aircraft. But recommendations shouldn’t be confused with solutions. Some of ICAO’s newest recommendations won’t take effect until 2021. To be fair, many of the U.S. and Western European carriers normally have a pretty good idea where their aircraft are when they’re abroad, but minute-by-minute like they do in the states, nope. In some emerging aviation markets, the odds against being found if the aircraft goes missing are still incredibly high. Travel out over the North or South Atlantic, the Indian Ocean or the South China Sea and you too could disappear like MH 370. But doesn’t the traveling public have the right not to be lost at sea or over the jungle somewhere? Sure they do. That doesn’t mean all the airlines will ante up for new equipment today to make air travel 100 percent safe though. After all, they will claim, the International Air Transport Association (IATA) just declared 2015 to be one of the safest years ever for air travel. And air travel is safe … just not 100 percent. All international passengers can really do today is figure out how great a risk they’re taking when they purchase a ticket in a particular region of the world. Right now, locating that kind of risk information for analysis by passengers is nearly impossible however. But it shouldn’t be that tough because as anyone who travels on foreign carriers can confirm, security in some regions of the world is still laughable compared to the norms we’ve experienced since 9/11. Although we’ll never know what happened to MH370, there are a few new technologies on the horizon to help make locating an aircraft much easier in the future … that future still being a few years away of course. It’s important first to clarify two terms being tossed about, tracking and surveillance. Tracking means air traffic control (ATC) knows where an aircraft was at any given point, such as via a pilot report or a tracking signal (ADS-C), that pinpoints an aircraft at a specific location and time (ADS-C is not in wide-spread use as of yet). Surveillance means air traffic controllers know an aircraft’s location precisely, as they do today via radar. It’s important to realize that even ICAO’s recommendations for better tracking – at least every 15 minutes – still translate into a potentially large search area when aircraft are traveling at eight miles per minute. Inmarsat, the London-based satellite company whose gear was on MH370 and is also on board most airliners today, believes carriers should just turn on that gear’s 15-minute tracking, or install new Inmarsat equipment. But global surveillance, as well as search and rescue efforts would be far more effective if we knew an airplane’s exact location at the instant it goes missing. After more than 60 years of deploying radar technology, only a small fraction of the world’s airspace is covered today. More radar systems, while needed, are unlikely due to cost. Another option is automatic dependent surveillance broadcast (ADS-B), a long name for a system that relies on each aircraft sending it’s location back to earth every minute or so. The only drawback to ADS-B is that the earth needs to be covered with ADS-B ground receivers to listen for the tracking information. Right now, it’s not and that effort’s not cheap. Even if the money’s available, the logistics to installing thousands of ADS-B receivers is almost a bigger hurdle. How, for instance, do you plant a reliable ADS-B receiver in the middle of the Pacific Ocean or the Amazon jungle? Despite the cost, many governments are mandating ADS-B equipment on aircraft. In the U.S., we’ll need ADS-B by 2020. Australia implemented an ADS-B requirement in 2013. Most new U.S. built aircraft are leaving the factory with ADS-B already installed. By 2018 or so, Iridium (the sat-phone people) will have orbited into space all of their next generation satellites that will just happen to have ADS-B receivers installed on each one, eliminating those blind spots on the earth’s surface. The receivers can relay aircraft ADS-B position reports every second from their perch in space to air traffic controllers anywhere on earth, not just tracking airplanes, but extending true surveillance all across the planet. These satellite-based ADS-B receivers will be operated by Aireon, a partnership between Iridium, Nav Canada and several other global air traffic control providers. Many airlines support Aireon’s capability, not so much because it will help find a missing aircraft in the future, but because they’ll receive better ATC service, such as more direct routings in remote areas and faster climbs, all of which translate into reduced fuel burns and lower operating costs. Whether they’ll pass those savings on to passengers of course is anyone’s guess. But most of the industry is still just talking about tracking solutions today, two years after MH370 vanished. Come 2018 though, when ADS-B signals can be heard everywhere, the traveling public may be able to sleep better knowing they won’t be lost at sea like MH370. Until then, it’s still pretty much a roll of the dice for everyone on board. This entry was posted on Monday, March 7th, 2016 at 2:38 pm	and is filed under airline safety, Airlines, Safety, The Buzz. You can follow any responses to this entry through the RSS 2.0 feed. Both comments and pings are currently closed. Your analysis made my day ! You’re spot on . Implementing ADS-B is probably the best option -at least economically- for all our airlines. I bet your very sensible opinion is shared by many professionnals and I also think the general public, wherever, have problems when it comes to grasping all of the very complex issues involved. Congrats for your Blog ! Keep it flying ! Just use a system like an auto transponder that transmits lat-long every 5-10 mins via existing sat system [stop reinventing the wheel], that CAN NOT be turned off unless the plane is on the ground. Also on the black boxes, don’t transmit a beacon, use a listening receiver on the box that will only transmit when interogated by a search transmitter. It basically stays quiet until a trigger signal is heard. Then the black box says, “here i am come get me.” The battery might last longer too.